Our Valentine holiday went spectacularly well! 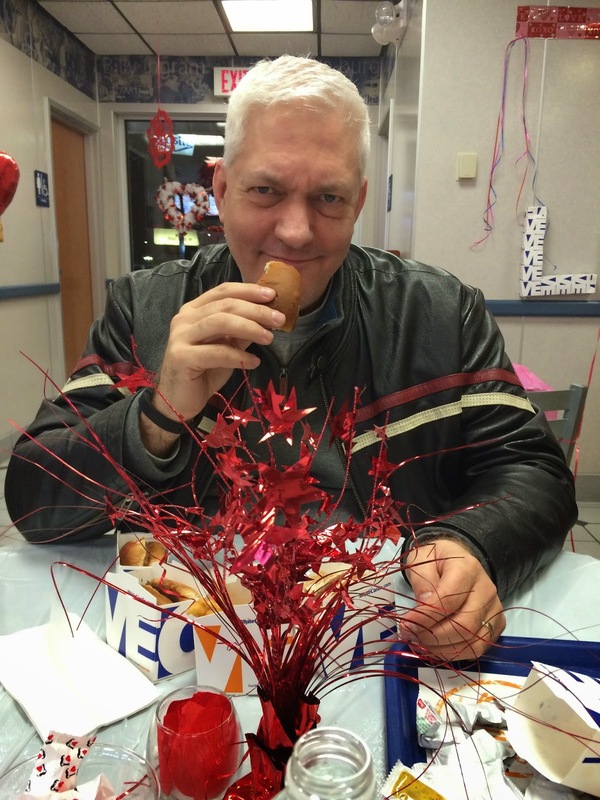 We had a fun time at White Castle. 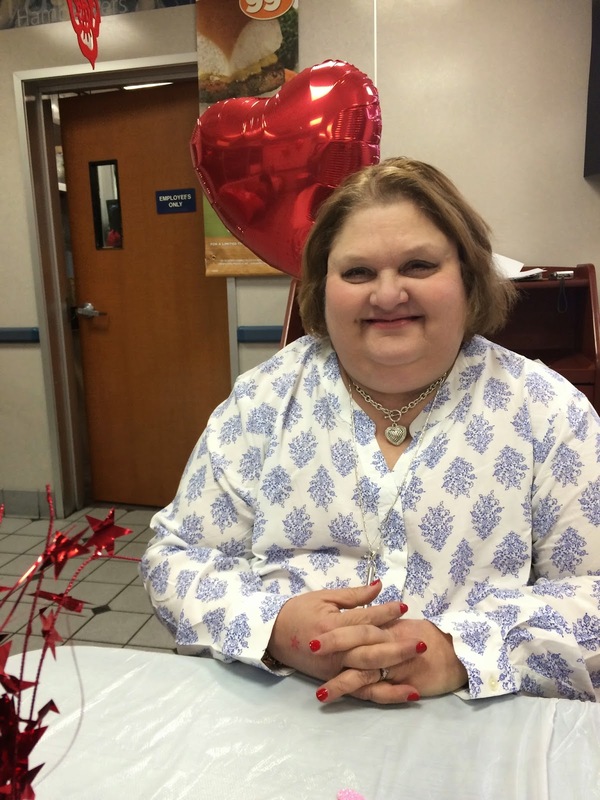 The restaurant was closed to the general public, only those with reservations could come in, so we were greeted at the door, our reservation checked, then guided to our table, which was decorated with a white plastic tablecloth, a red Valentine's spray and a bowl of cute mints. Our drink order was taken first. We ordered our food (from a table menu!) and it was brought out to our table pretty quickly. Our serve wore a black suit and a red bow tie. He was pretty dashing! 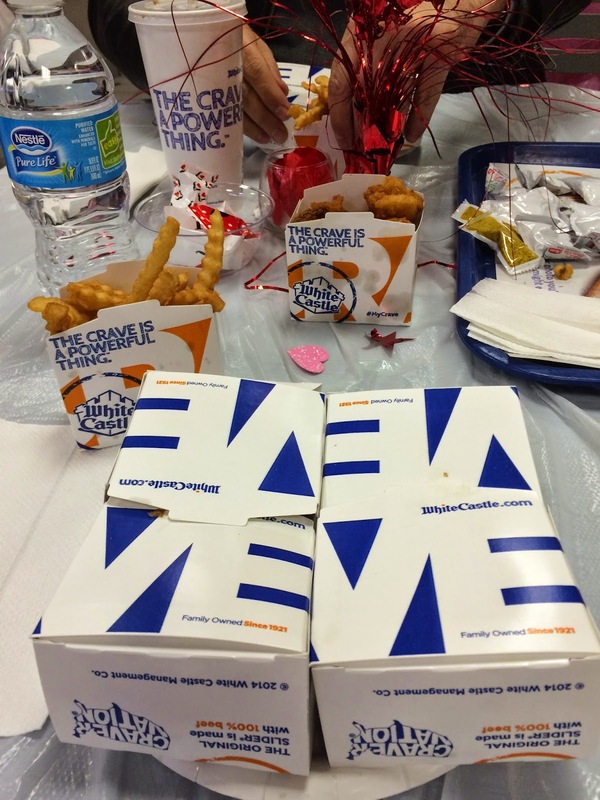 White Castle is the home of the slider, which you can see in these little boxes. They are big enough to have one pickle slice cover the whole burger. I love their crinkle fries. The little nuggets are fried shrimp. Those were pretty tasty, too. 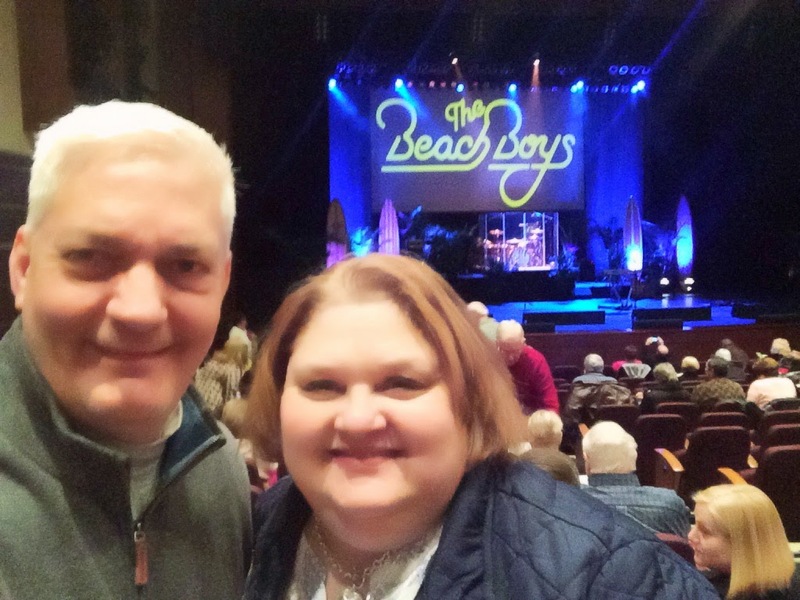 After dinner, we headed to the Lindenwood University's theater to hear the Beach Boys. Boy were they fantastic! We sang our way through most of the program. They did a four piece a cappella number by The Freshman which was lovely and two of the numbers were video pieces where members of the band who had passed on sang back in the day. The band played along to their singing. Very touching. Funny moment: The band asked everyone to get out their cells for an audience participation moment! 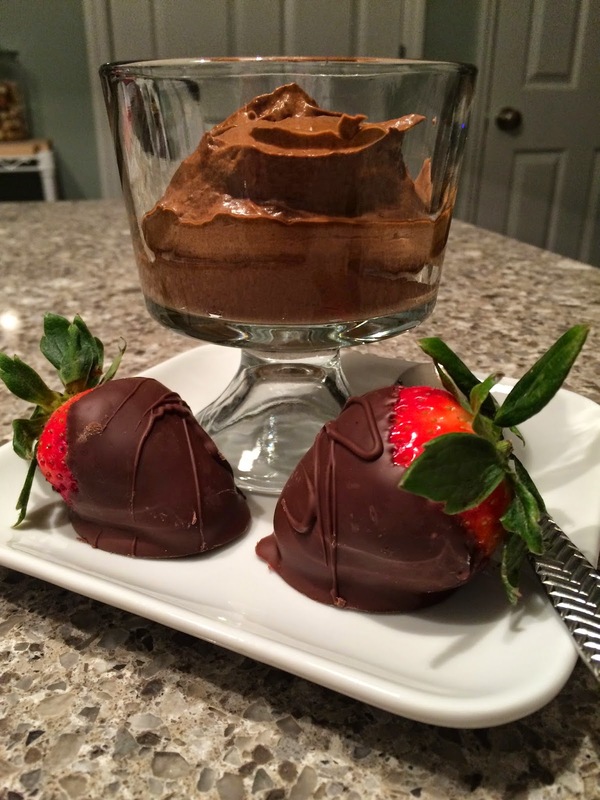 Doesn't that dessert look amazing? ?